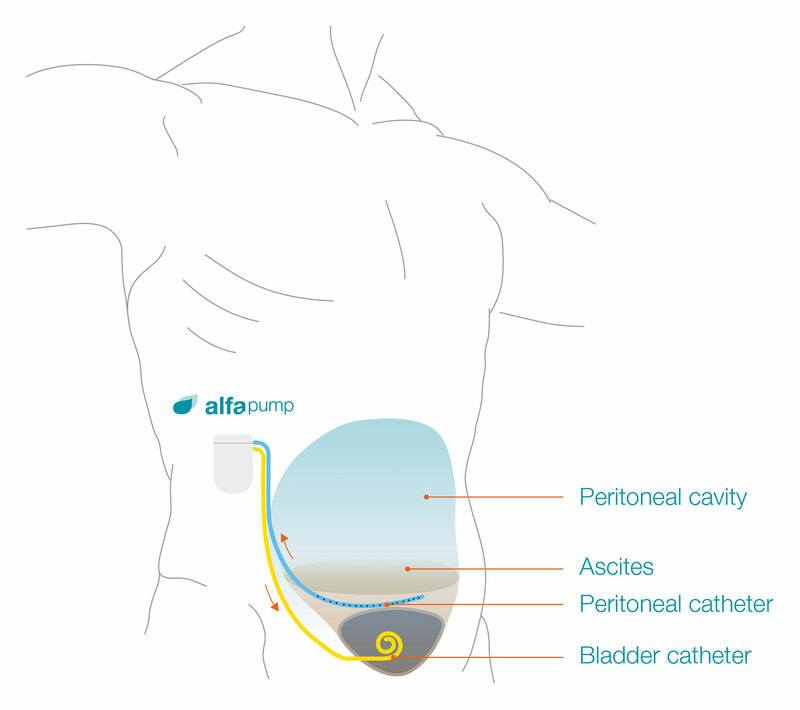 The alfapump® is a subcutaneously implanted battery-operated pump, which automatically and continually moves ascites from the abdominal cavity to the bladder, where it is excreted naturally from the body. Now, with new DirectLink technology, patients and physicians are offered an unprecendented level of comfort and convenience. With DirectLink, alfapump® data are continuously collected via the mobile phone network and transferred to secure servers for analysis – coverage that is 24 hours a day, 7 days a week. The ascites should be removed from the body on a continual basis, thereby preventing fluid build-up in the abdomen. By doing this, the primary symptom of the underlying disease and treatment complications may be avoided. 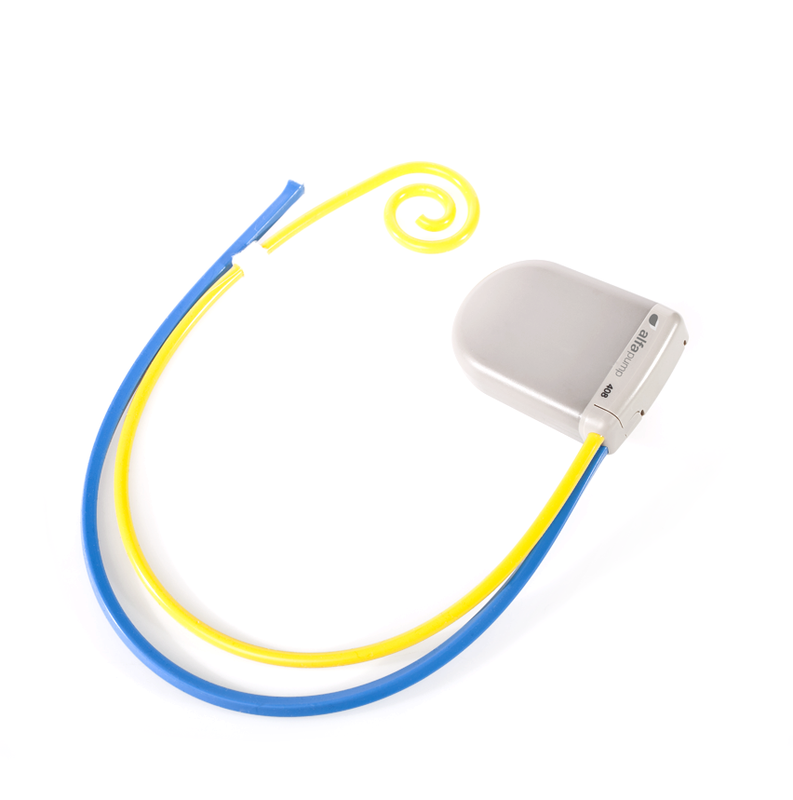 The alfapump® can be programmed by the patient’s doctor to ensure that the optimal amount of ascites is removed each day and the schedule can be designed to suit each patient’s individual daily routine. A special mechanism ensures that ascites is not moved into the bladder if the bladder is full and it turns itself off if there is no ascites in the abdominal cavity, ensuring optimal fluid management with no hassle for the patient. 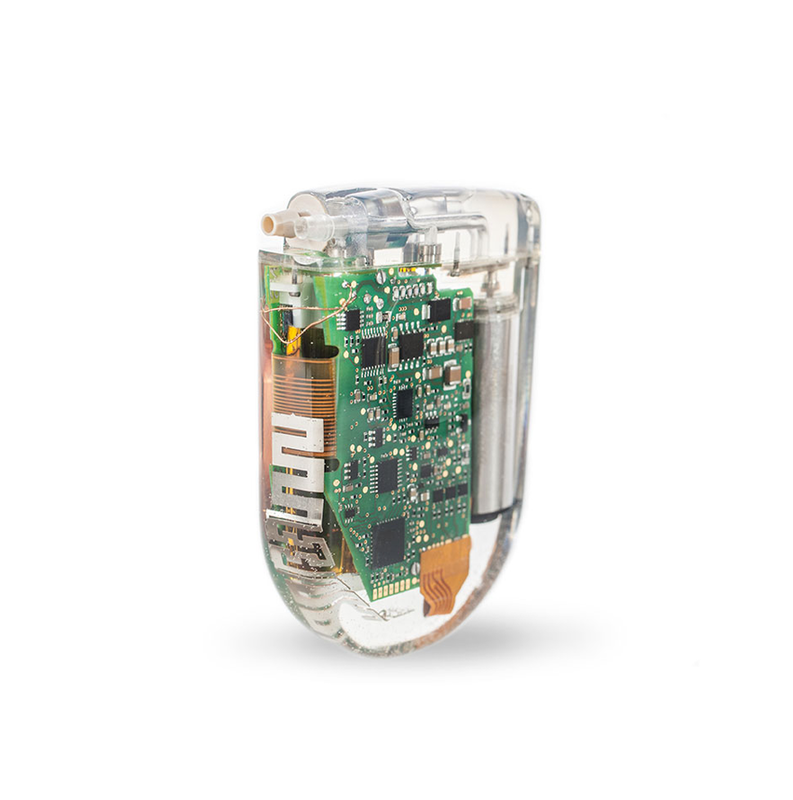 The smart charger is used to charge the alfapump®. During charging, data from the pump is uploaded to the Smart Charger which can be downloaded and evaluated by your doctor during hospital visits. 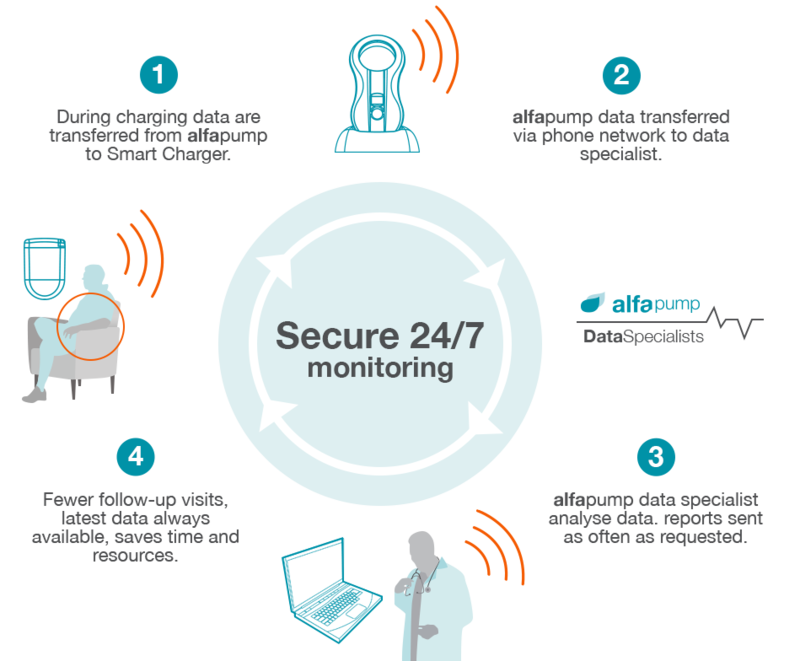 With new DirectLink Technology, alfapump® data are continuously collected via the mobile phone network and transferred to Sequana Medical’s data specialists, who analyse the data and send tailor-made reports to the physicians as often as required. In case of unexpected changes in pump activity, Sequana Medical will notify the patient’s physician immediately, who can then initiate appropriate action. 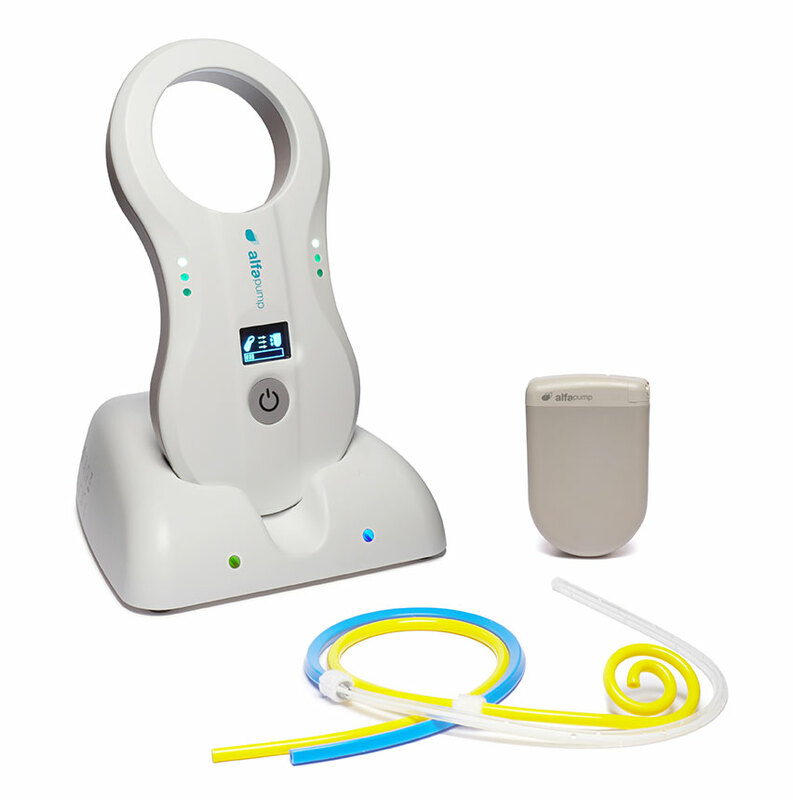 The alfapump® system is currently offered in many centres across Europe. Find out where your nearest centres is. The alfapump® system is a state-of-the-art technology to help patients suffering from serious medical conditions such as cancer or advanced liver disease. This means that the decision to use the alfapump® system is highly individual to each patient and his or her situation.